Well, my baby is 11 weeks tomorrow! How fast time flies. Its time for a progress update. 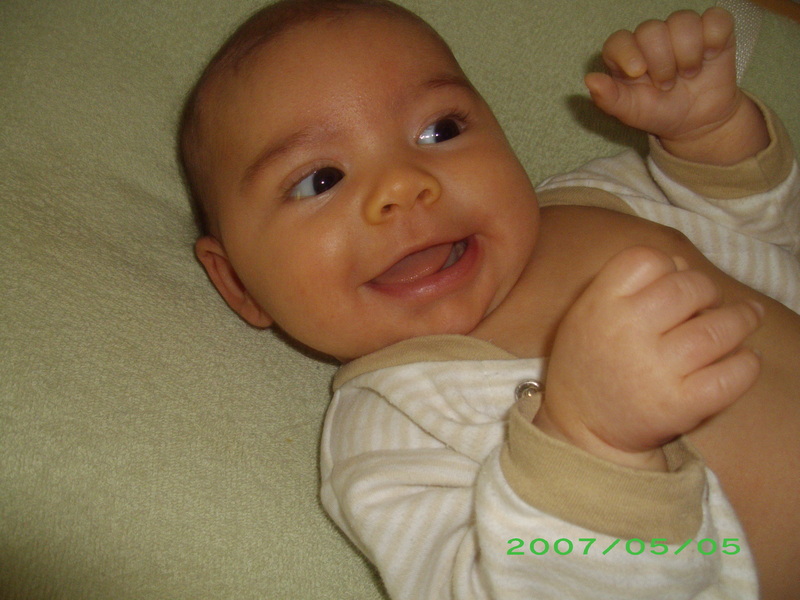 The first 6 weeks, I lost no additional weight besides the weight loss from the birth. 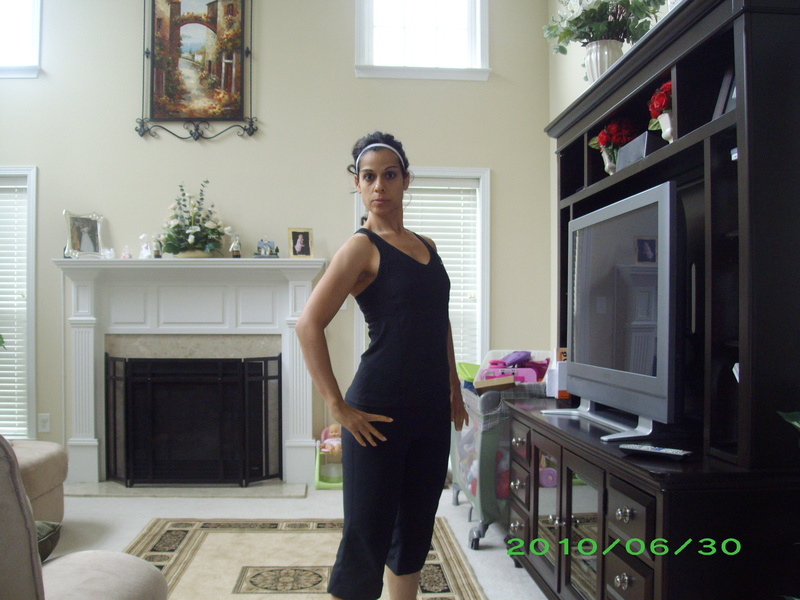 This is due to the fact that my body was in transition between pregnancy and postpartum. Then right at 6 weeks I dropped 6lbs. Ive held that weight steady for about a month. I still havent lost any scale weight, but I was surprised to find that I lost 6 inches! Why should I be surprised? I knew this, “muscle weighs more than fat”, and this was proof. My clothes felt looser, yet only 6lbs? Here is what happens. When you start a weight training program while trying to lose weight, your body is losing body fat and gaining muscle at the same time. 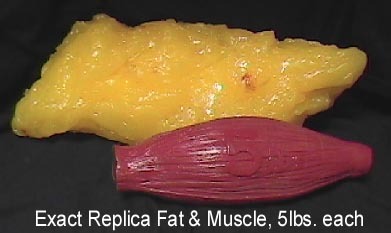 Since muscle takes up less space than fat per pound, you feel leaner. Here is another thing that happens. As your body releases bodyfat, some of the fat cells fill up with water as a “place holder”. No one really knows why, but it could have something to do with evolution. Remember, hundreds of years ago food was scarce and your body held onto fat to survive incase of a famine. So although your are making improvements in your body composition, you may not see big drops on the scale. As you continue to lose bodyfat however, your body will release the water at some point, as if to say, “OK, I dont need you anymore.” This gives your skin time to shrink too, and that’s when you get on the scale and get a “whoosh!”, big drop. However, if you are lifting, and you are lifting hard and heavy, you shouldn’t expect to be a light weight. Which means you could reach your goal size, look leaner and toned, but weigh more than your skinny-fat friends. So what am I doing to help the fat muscle transition? My workouts consist of weight training 3-4 days per week. 1 day per week I take Group Power, 2 days per week I do a full body compound exercise routine with supersets. 1 day a week I try to get in a circuit training cardio routine. 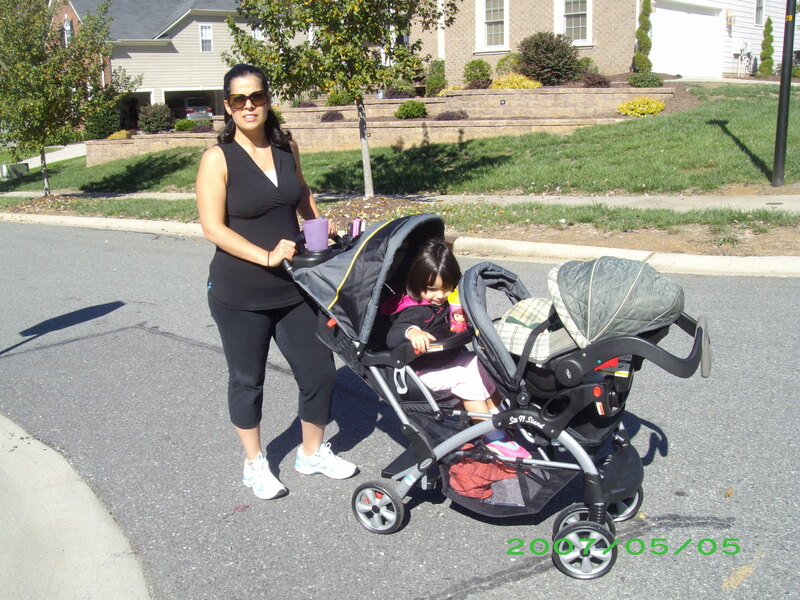 I also run/walk the stroller on Sunday mornings, and do Step aerobics at home 1-2 times per week. Each workout it about 30-60 minutes. Seems like a heavy load? Where do I find the time? When exercise is a priority, which it should be, you find the time. If Im working out at home, I do it when baby naps, and his naps are only 40 minutes in the mornings. That means I am dressed and ready to go as soon as he falls asleep. So when people say having a baby ruins your body, that’s because you decided not to make getting your body back a priority. You know I love you (I do), but I need to say there are times when a mother simply can’t make exercise a priority. I would LOVE to, but I have three children all 4 and under. I work full time–out of town. I get up at 4:45 in order to get me ready, the kids ready, off to grandparents (they take the to preschool) and then drive an hour to work. I work all day, sometimes I get lunch, sometimes I don’t. I leave work at 4:30, pick up the kids and get back home by 6:15 or so. Then, it’s cook dinner, eat, convince three toddlers to do the same, clean the kitchen, help kiddo’s with homework that they have everynight, wash dishes, make bottles, do a load of laundry, get kids into bed, fold laundry, then crap–it’s 10:00…this is my life. I understand I chose this life, and it is very rewarding, but it doesn’t leave time for anything else. I do need to lose 15 pounds, that is for certain, but without excercise no diet is going to help me do that and keep it that way. It’s not that being healthy isn’t important to me, and I want to set an example for my children, but it’s not as easy as just making a decision to be dedicated. I wish it were that simple. Hi Jennifer!! I totally understand and I want to help you. Can you do a workout in the evening after they are in bed and ask hubby to delegate some of the work? How about weekends? Its always possible and I know people just like you,it just takes some time management. You dont have to exercise everyday. In fact, recent studies are showing that all you need is the minimum effective dose. It could be 20 or 30 minutes. It doesnt have to be a 60 minute class. As long as its intense and brief, its still effective. It can even be as simple as 15 minutes…if the right moves are done. I suggest you get a kettleball…that’s really all you need and you can do cardio and weights all in one. What about a stroller? A friend of mine goes running with her run group after dinner. Its possible. Here is a tentative schedule. Since you work full time, make Sat and Sunday a priority and make them longer. Perhaps cardio and a short weight lifting session Then throw in an additional 2 days during the week after dinner and keep them brief. This is where you can use the kettleball and do a 20 minute circuit. Make the weekends your longer workout and incorporate the family. Take out the stroller. Ask hubby to help you. Get equipment for your house. I have all I need…a step and dumbells and a workout mat. Really it doesnt have to take forever. Let me know if you need help. And of course, your diet is key. So definitely make sure your diet is top notch, and that means minimal processed foods, low sugar and lots of protein and veggies.